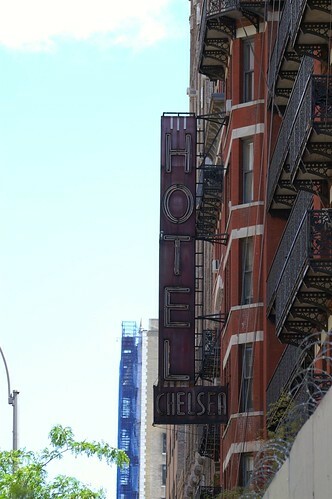 Wired.com have got a neat little article here about the Hotel Chelsea in NYC. This notorious venue perhaps most famous as the location where Sid Vicious allegedly killed his girlfriend Nancy Spungen, but also the home for a raft of other sordid stories (and a few less sordid such as Arthur C Clarke’s writing of 2001). The hotel is now the subject to a documentary film and photo essay book.